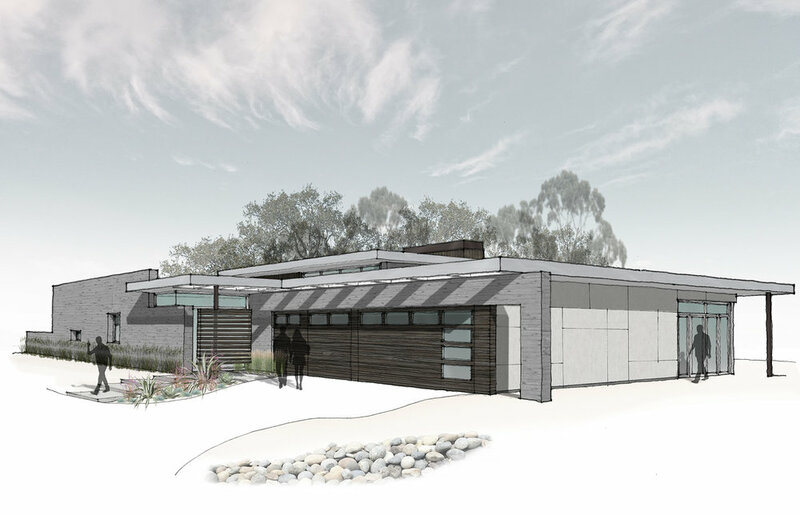 Presently on our boards is a single family one-story residence inspired by the architecture of Richard Neutra. It emphasizes planar elements and the connection to it’s surrounding landscape through the use of indoor-outdoor spaces. Generous overhangs are a response to the site’s solar orientation and achieve protection over large expanses of glazing. Board-formed poured in place concrete walls promote a natural aesthetic and retain multi-level grading. Fire and insect protective shou sugi ban wood siding balances the raw concrete for natural materiality.